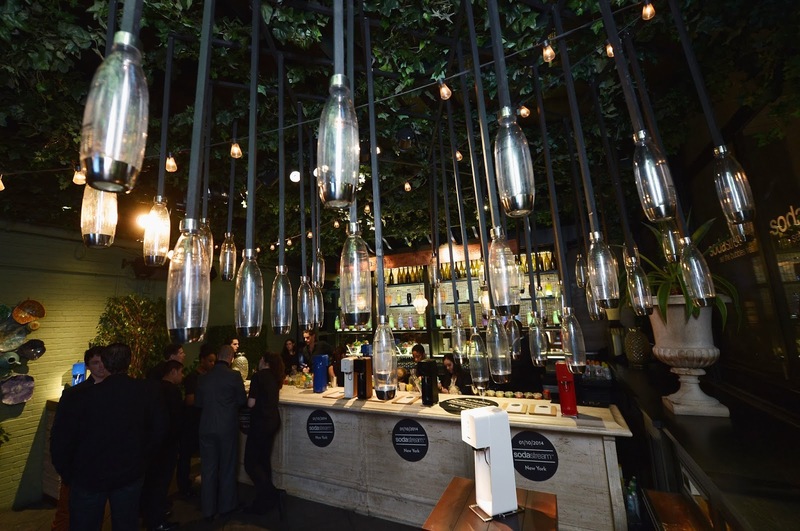 SodaStream Unveils Scarlett Johansson as its First-Ever Global Brand Ambassador! SodaStream International Ltd. (NASDAQ: SODA) has signed actress Scarlett Johansson as its first-ever Global Brand Ambassador. Johansson, a Tony winner and four-time Golden Globe nominee, will become the face of a new marketing campaign for the world’s leading home carbonation system. 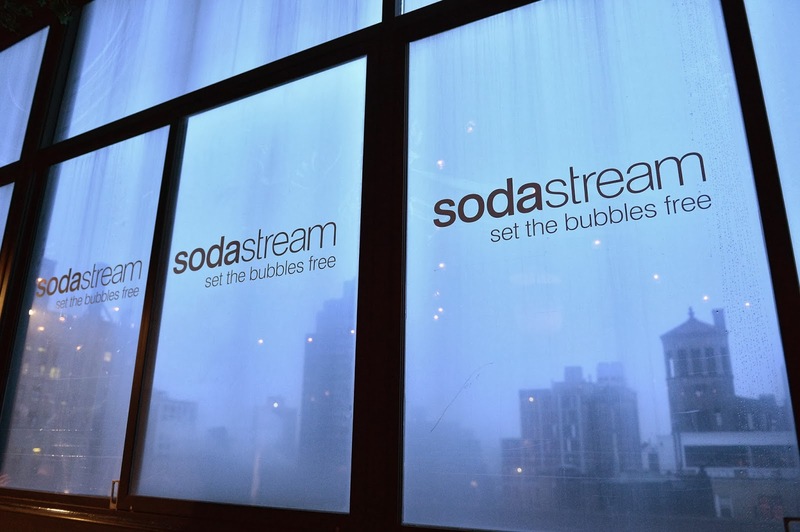 The multi- year partnership will kick-off when SodaStream premieres its first ad featuring Johansson during Super Bowl XLVIII on Sunday, February 2, 2014. Johansson believes that being healthy is about commitment, determination, and self- empowerment. These core values emulate SodaStream’s mission to revolutionize the beverage industry by empowering people with easy-to-use, fun ways to enjoy better-for-you, better-for-the- environment bubbly beverages. 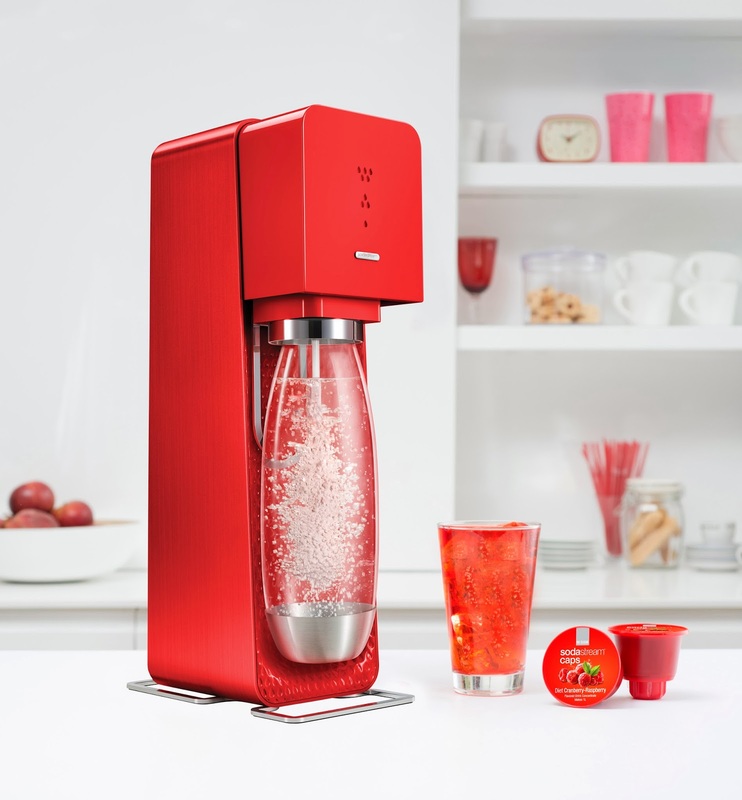 SodaStream empowers consumers to create their own carbonated beverages at home, just the way they like them. 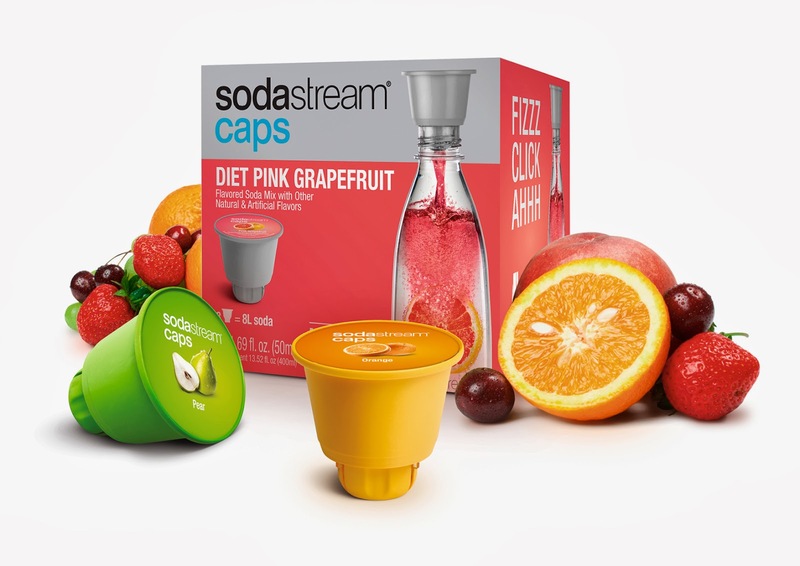 SodaStream soda mixes are available in over 100 flavors, and generally contain 2/3 less sugar, 2/3 less calories, no high-fructose corn syrup and no aspartame. With an innovative re-usable bottle, the SodaStream system drastically reduces the waste created by plastic bottles and cans; a true revolution in the way people consume carbonated drinks. The company is confident that in her role as Global Ambassador, Johansson will help consumers embrace home soda making as the future of the beverage industry. Great deal for the SodaStream on Amazon.com! Win a pan of lasagna from Sam's Gourmet at the Chicago French Market! Each week in January, Sam's Gourmet Lasagna is offering a local business the opportunity to win a pan of lasagna for their office. Stop by Sam's Gourmet Lasagna & Pasta at Chicago French Market and drop off your business card for entry. No purchase is necessary. Sam's Gourmet Lasagna & Pasta kicks off the New Year with additions to its core menu. New items include: Blackened Shrimp N Spinach Lasagna, Steak N Potato Lasagna with Signature Steak Sauce, Rigatoni with Lemon-Lime Pot Roast and Sam's Gourmet Lasagna & Pasta Signature Pasta Sauce. Sam's offers daily complimentary samplings from 11 am-1 pm and 4:30 pm - 6 pm. For advance orders, call 312-775-0057. Due to the production "Edges" being mounted at the Chicago Actors Studio theater during January and February, this may be the last movie night at CAS for a couple months. So don't miss this one! Make sure you follow us on Facebook and Twitter for updates on our next FREE movie night! THE OPENING OF THE WINTER SEASON! If you missed the illumination of the Field Museum last June, you have another opportunity to see Marco illuminate yet another building on Monday, January 13 & Thursday, January 16 at Northwestern University. Marco will create a light installation on the facade of the Charles Deering Library. We are excited and honored to represent photographer PETER SOREL, who worked on films such as LIFE OF PI, FRIDA, EASY RIDER and ONE FLEW OVER THE CUCKOO'S NEST. His works have been published in LIFE, TIME, NEWSWEEK along with many major magazines and newspapers abroad. Peter's photographs have been widely exhibited in Europe. Peter is currently a resident of Chicago and has recorded a series of Lake Michigan at various times of day that are frequently mistaken for original paintings. The Union league Club of Chicago will host an exhibit of his works in March along with an exhibit of his works at Hilton Asmus Contemporary. Félix Roulin was born in 1931 in Dinant, Belgium. He is best know for his monumental sculptures in public spaces and sculpture gardens throughout Europe. Roulin resides and works in a 17th century farmhouse where he casts his sculptures in a foundry he built on the farm. His unique method of incorporating classical human figures into modern columnar shapes as if they are a forest of bodies has enraptured audiences throughout the world with placements in China, Greece, UK, Korea, Australia and the US. As most of his works are one-of-a-kind unique works in bronze, cor-ten steel, and aluminum, they they have graced many corporate spaces, private gardens, museums and residences, both indoors and outdoors. Roulin was a professor at the School of Métiers d'Arts in Maredsous, professor of Metal Art and then professor of Sculpture in the High Institute of Architecture and Visual Art of "La Cambre" in Brussels from 1962 to 1996. In 1961 he was awarded the triennial Prize "Young Belgian Sculpture" and the "Rodin Museum Prize" at the Paris Biennial. After 1961, he exhibited at the Biennial of Paris, Biennial of Sao Paulo, Biennial of Middelheim, in Japan and throughout Europe. His works have been exhibited at the Palais des Beaux-Arts in Brussels, Musee Saint-Georges in Liège and he was recently on a touring exhibition in seven museums (Changshu, Ningbo, Fujian, Suzhou, Xian, ZhaoYuan and Shanghai) in China. Felix will be accepting a very limited number of internships at his farm later this year to teach his bonze casting process on his idyllic 17th century farm in Belgium. Beginning her career as a nationally known fashion and commercial model, Gail Mancuso uses skills honed from working on both sides of the lens to create abstract layered photographs that blend multiple images into imaginative and innovative compositions, printed on metal and acrylic surfaces. Focusing on architecture and design, nature and human forms, Gail's images present a stunning and optimistic view of the beauty of the simple and often unnoticed. Working in her studio in Sausalito, Collier carves water surfaces from acrylic blocks using a process combining imagination, software and machine tools to capture wind crossing water and the light that results. She developed software to model vast, turbulent, nonlinear date sets, learned precision milling, studied 3D modeling, developed a color palette in acrylic blocks where she uses a large "CNC" router to carve acrylic blocks from computer code she has written. The results are mesmerizing sculptures of water that appear to move with each glance. "I was walking across a bridge and looked down at the water and thought I wish I could pick up a piece of the surface and keep it forever. This idea became a compelling force." A 23 year old self-taught Malibu based Contemporary Artist/Muralist. With a meticulous attention to detail, utilizing mixed media (vintage comics) and various other techniques, his work has not gone unnoticed. Collaborations with companies such as Sony, Warner Bros., Atlantic Records, Coachella Music Festival, Absolut Vodka, Converse and TOMS Shoes to name a few, shows clearly you CANTSTOPGOODBOY. Stay tuned for the upcoming schedule of exhibitions at Hilton Asmus Contemporary. Chicago Detours Updates User Friendly Pedway Map! Help musician Harvey Mandel Fight Cancer!